2019 Five Pearls Academic Scholarship is here – Apply Today! Be a Vendor at our Annual Scholarship Brunch this June!! 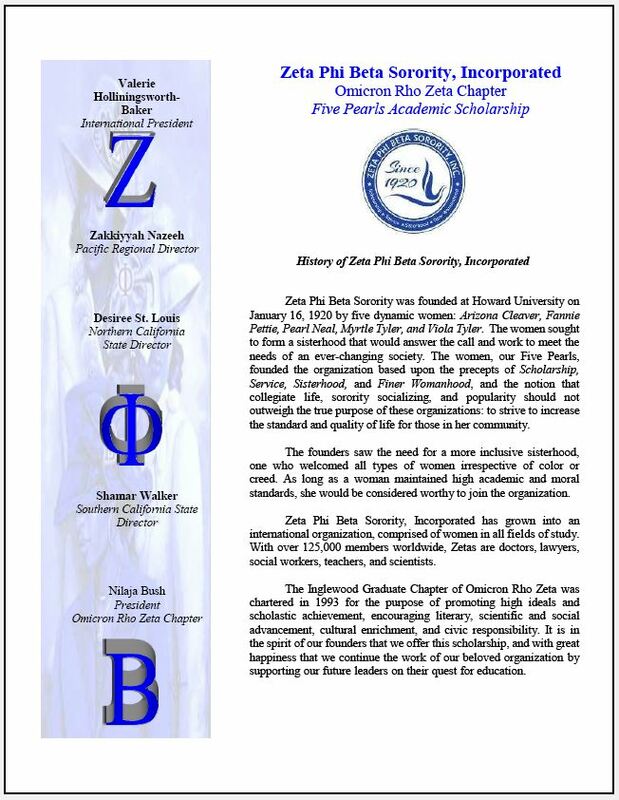 Zeta Phi Beta Sorority, Incorporated, Omicron Rho Zeta Chapter of Inglewood California is pleased to offer our Five Pearls Scholarship! For selection criteria, please download the attached application! Best of luck to all applicants.